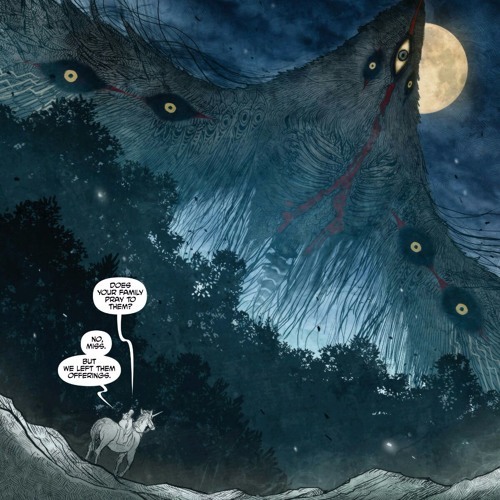 This month, The Girls enter the gorgeous, eerie world of MONSTRESS, the newest title from the creative team-up of Marjorie Liu and Sana Takeda (who previously worked together on Marvel’s X-23). We tackle the biggest questions leveled by the story’s first three issues: Can Magic and Government ever work hand in hand? Will the so-called Arcanic “”monsters”” successfully escape the Cumea and the Mother Superior? WHERE CAN WE GET A TALKING CAT WITH MULTIPLE TAILS? !